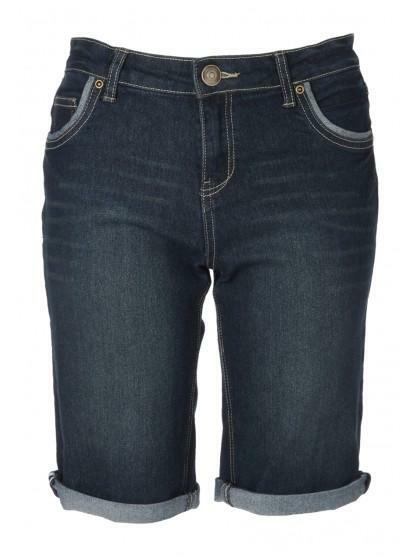 Go for a long denim short this season with cycling short style denim shorts. A perfect solution for wearing denim shorts whilst covering your thighs. Wear with t-shirts or vest for a super causal look. These shorts feature a longer leg length, zip and button front, front and back pockets with stitch detailing and roll up bottoms. 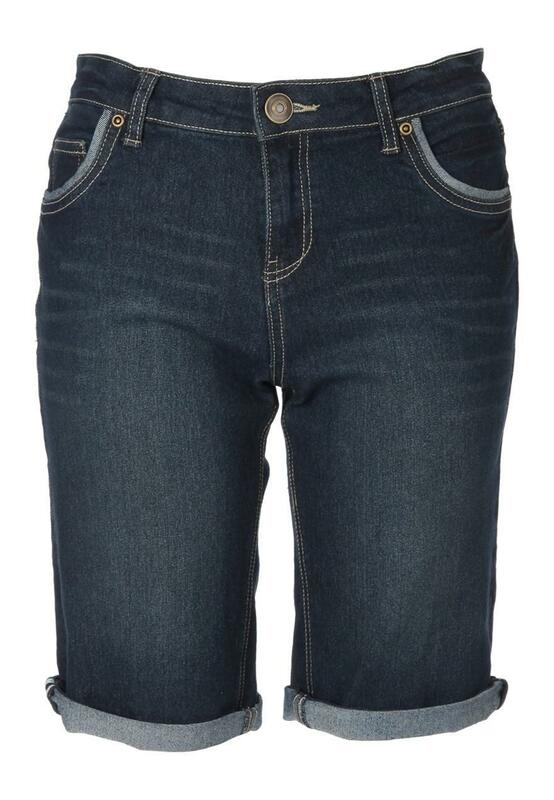 A must have denim essential.